Many customers believe that diagnosing an issue with a vehicle is as simple as just plugging into an OBDII port and retrieving a trouble code. Technicians know that this isn’t always the case. Properly diagnosing issues with a vehicle can take time. As the old adage goes, “time is money.” If shops aren’t charging for diagnostics, they are missing out on both time and money. Many shops want to give diagnostics away for free to sell a job, but diagnostics is something shops shouldn’t be afraid to charge a customer for performing. The key to selling any diagnostic service is communication. The more a customer knows about a service and understands the need for that service, the more willing they are to pay for it. This is true with TPMS diagnostics and service as well. A customer will feel much better about a $15-$20 reprogramming or servicing fee, or even a service kit fee if they understand what/why a shop is charging them. The best way to do that is through communication and education. A recent study by Goodyear found 49% of millennial and Gen Z drivers couldn’t correctly identify the TPMS warning symbol, while 39% of the general population had difficulty identifying the warning light. This lack of knowledge is the shop’s responsibility to overcome. Explaining to a customer how their TPMS functions will help them understand what you’re working on. While the simplest solution to a TPMS malfunction indicator light is filling the tires to the proper inflation, that’s not always the fix. • Corroded valve stems could also be causing issues with the system, or the tire’s ability to hold air. When educating the customer, make sure to inform them that their warning light will come on once the pressure is 25% lower than the OEM recommended PSI. 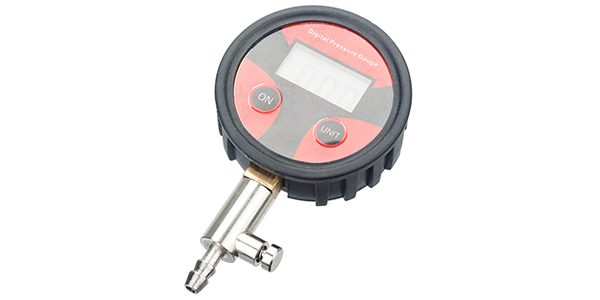 Remind them that digital gauges are more accurate that spring loaded gauges which can be off by several PSI. Also discuss the average battery life, which can range from 5 to 10 years. Explain the more the vehicle is driven, the more often the TPMS sensors generate their signals, and the faster they use up their remaining battery life. Discussing how the TPMS signal is transmitted too, can help. On some vehicles, the signals to the TPMS module are shared or go through the keyless entry system, so a wiring problem that affects the keyless entry system could cause a problem with the TPMS. The TPMS module may be working fine, but is not getting the right information from the keyless entry system. Remember the better educated the customer and the better you communicate with them, the more at ease they will feel about paying for services and the more likely they’ll purchase services in the future.